High output current: up to 30A. 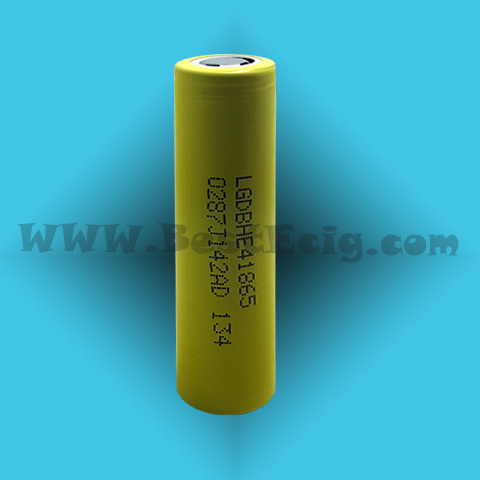 It can be used in the MOD/Box series batteries. Specially, you had to use up to 30A high output current battery if you vape Sub Ohms tank atomizers (the resistance is 0.2- 1.2 Ohms). 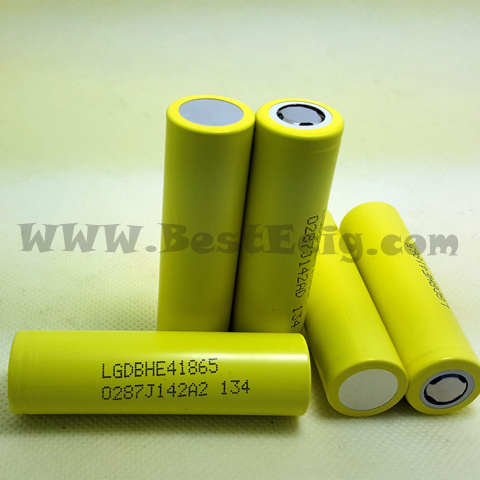 High Drain AW Lithium Manganese Rechargeable Cell, Model: LG HE418650, Capacity: 2500mAh, High output current: up to 30A. 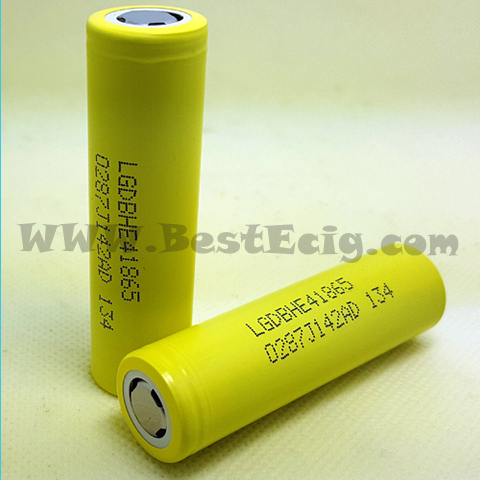 It can be used in the MOD/Box series batteries. 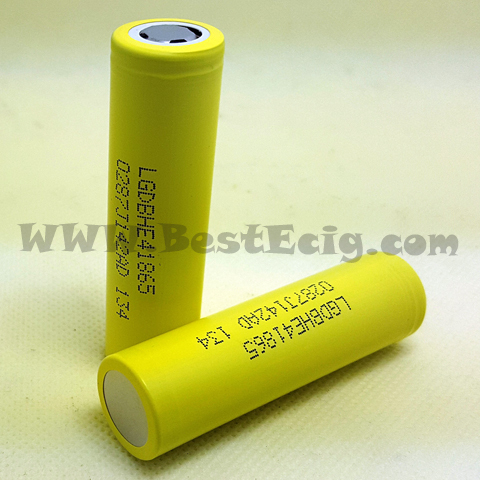 Specially, you had to use up to 30A high output current battery if you vape Sub Ohms tank atomizers (the resistance is 0.2- 1.2 Ohms). 3.1. Don't fold the battery cased with laminated film such as pouch and Polymer. 3.2. Don't store the battery in a pocket or a bag together with metallic objects such as keys, necklaces,hairpins, coins, or screws. 3.3. Don't short circuit (+) and (-) terminals with metallic object intentionally. 3.4. Don't pierce the battery with a sharp object such as a needle, screw drivers. 3.5. Don't heat partial area of the battery with heated objects such as soldering iron. 3.6. Don't hit with heavy objects such as a hammer, weight. 3.8. 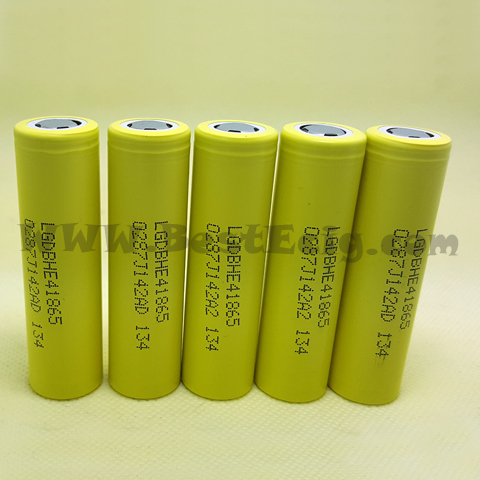 Don't disassemble the battery or modify the battery design including electric circuit. 3.9. Don't solder on the battery directly. 3.10. Don't use seriously scared or deformed battery. 3.11. Don't put the battery into a microwave oven, dryer ,or high-pressure container. 3.12. Don't use or assemble the battery with other makers' batteries, different types and/or models of batteries such as dry batteries, nickel-metal hydride batteries, or nickel-cadmium batteries. 3.13. Don't use or assemble old and new batteries together.